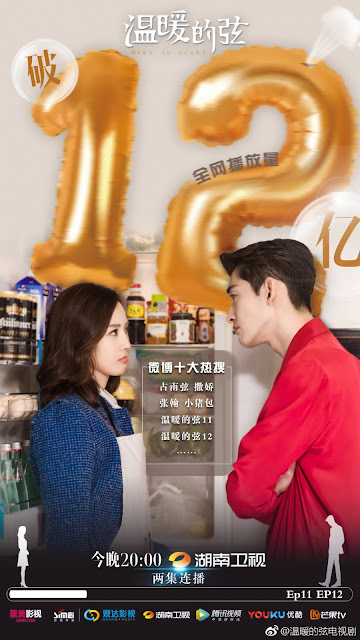 Here to Heart starring Zhang Han and Janine Chang celebrates a great first week. It currently ranks first online and just broke 1.2 billion views as of today. The show's weibo cheekily points out that numbers seem even higher but there wasn't enough time to make a new poster. The show also shot up in CSM Nationwide rankings and only lags behind Magic City which is a rerun that has been consistently performing well since it started broadcasting. 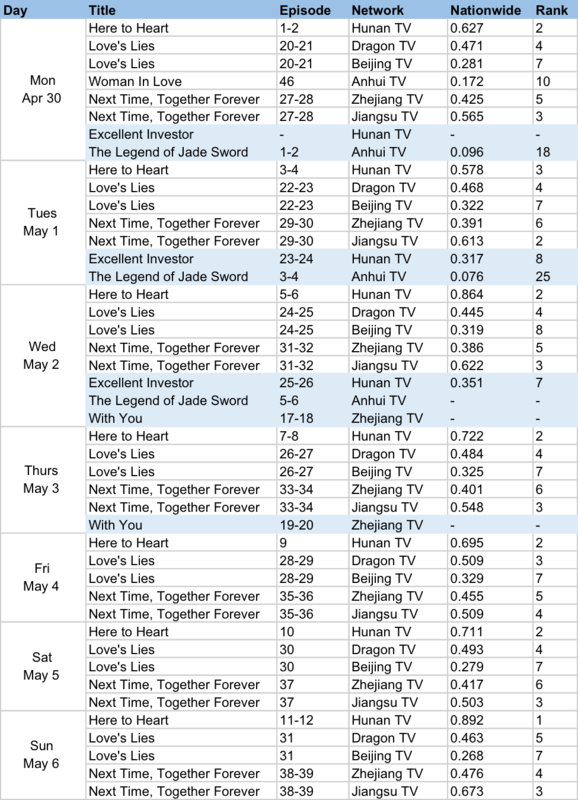 CSM52 Cities is the only ratings board where Here to Heart is not doing well as competition narrows between Love's Lies and Next Time, Together Forever, both of which finally broke past ratings of 1.0%. Love's Lies wins this round as it takes the crown for the majority of the week. We also see some changes in web rankings to reflect dramas and movies creating buzz in C-ent. Zhou Dongyu who is in the controversially successful movie Us and Them jumps to third. Cai Xukun makes it to the list for the first time along with his web drama I Won't Be Bullied By Girls. I noticed Secret of the Three Kingdoms has dropped from the list though it may be a temporarily fall as the drama is still on the air. feeling they could have recorded the voices better or maybe it's the background music that is too loud. Probably better to just watch the second season of Advisors Alliance (growling tiger, roaring dragon). congrats to Here to Heart! I only watch it for the pretties - they both look flawless. CSM52 is the most important rating, nationwide is usually not used to measure success. Sadly, I am still in a drama slump. There is just nothing good. Overall average ratings show that most people are not tuning in to all these dramas. This first quarter has been pretty weak.